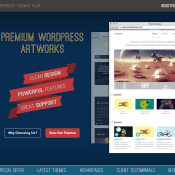 Today we partnered up with TeslaThemes to deliver you this amazing giveaway. 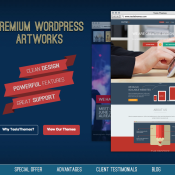 You have a lucky chance to lay your hands on 3 Premium WordPress Themes! There are going to be 3 winners and each of them will get the 3 Premium Themes featured below. 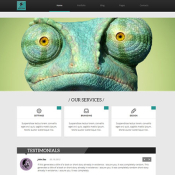 TeslaThemes: 14 Amazing WP Themes at only $19! Sometimes making a decision can be tough. 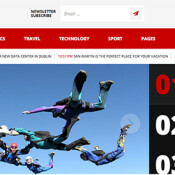 Even when it’s something positive and fun, like selecting a new theme for your website. Maybe you’re not sure which direction to take things in visually. Or maybe you’d like to see how a theme works for a while before really sticking with it for good. That’s where owning a whole collection of 14 themes can sure come in handy. If you’re in the process of creating a new website or have an existing one, you’ll definitely need a beautiful layout and advanced functionality, powered by a strong content management system. WordPress is the best choice for this, as its flexibility, ease of use and powerful features make it so popular and widely used. Currently, it powers more than 65 million websites worldwide and 22% of all new websites in US. Building a site for your wedding is a great way to keep a record of your special day and the build up to it, or even to share photos with all your guests. 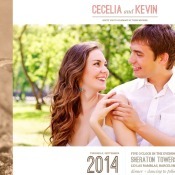 Others also use a wordpress wedding site to give directions or for a list of wedding gifts. We know you are busy preparing your wedding and don’t really have time to find out which are the best WordPress wedding themes, so we’ve done the hard work for you.